The Prime Minister, Shri Narendra Modi, today launched the “Main Nahin Hum” portal and app, in New Delhi. 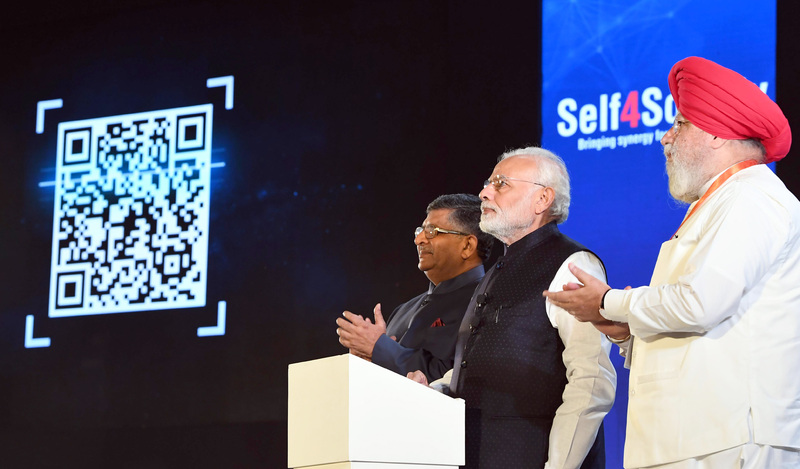 The Prime Minister noted that he observes India’s youngsters leveraging the power of technology very well. He said that they are using technology not only for themselves but also for the welfare of others. He described this as a wonderful sign. Noting that there are many start-ups in the social sector, the Prime Minister wished the young social entrepreneurs well. 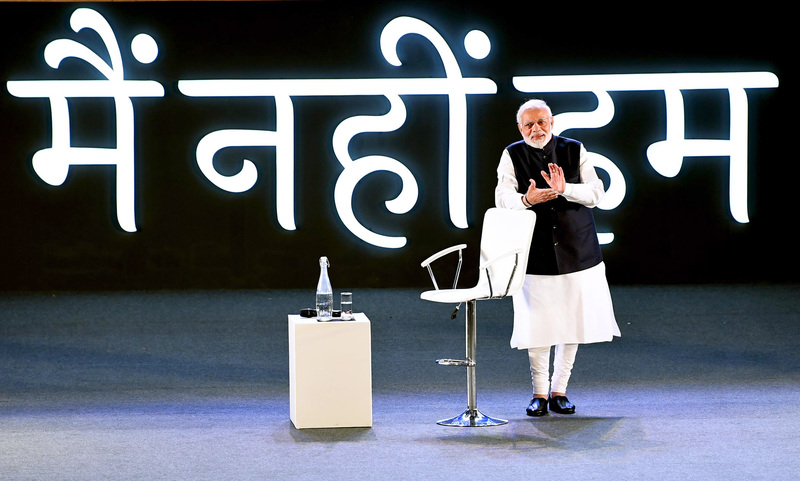 IT professionals explained their efforts towards social volunteering, especially in skilling and cleanliness.In response to an observation, the Prime Minister asserted that the symbol of the Swachh Bharat Mission is the spectacles of Bapu, the inspiration is Bapu and we are fulfilling Bapu’s vision. Every effort, however big or small, must be valued. It is essential to step out of our comfort zone. A team of people from Tech Mahindra are interacting with PM @narendramodi during the Town Hall programme. On many occasions, what Sarkar can't do, Sanskar can do. We have become very careless when it comes to consumption of water. In order to learn about water conservation, I urge everyone to visit Porbandar in Gujarat, and see the home of Mahatma Gandhi. Why is India making a mark in the start-up world? The team from @TCS in Kolkata is interacting with PM @narendramodi. This team attaches great importance to communities and finds great satisfaction in working for others. This team is also working to create rural digital entrepreneurs and are making efforts to improve digital literacy. We have a culture where we like to only criticise business and industry. This is not a line of thought I agree with. My friends in the IT sector, here is a unique opportunity to contribute towards nation building. 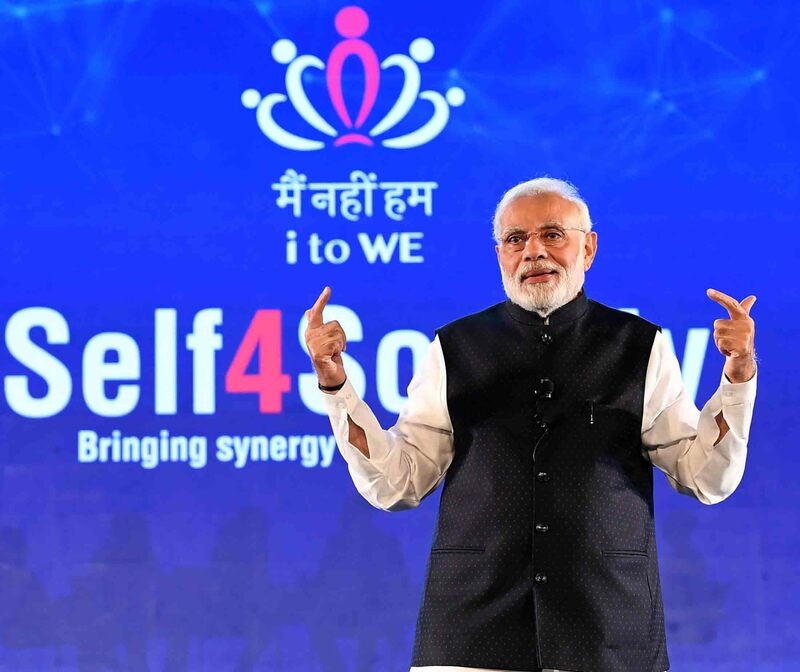 Join the movement to transform India, through the #Self4Society portal and App. Our valued guests during the Town Hall were Divyang basketball players, who joined the interaction from Chennai. When we serve, we learn. When we volunteer, we are also imbibing so much from those we volunteer for.